Andrew Nordin studied both Painting and Graphic Design at St. Cloud State University after attending Ridgewater Community College. He received his MFA in pictorial arts from San José State University in California. Growing up in the farmland areas of southern Kandiyohi county and exploring the lakes area in both summer and winter has helped in forming his aesthetic: ruggedly crafted works that mix landscape elements with the language of painterly abstraction. 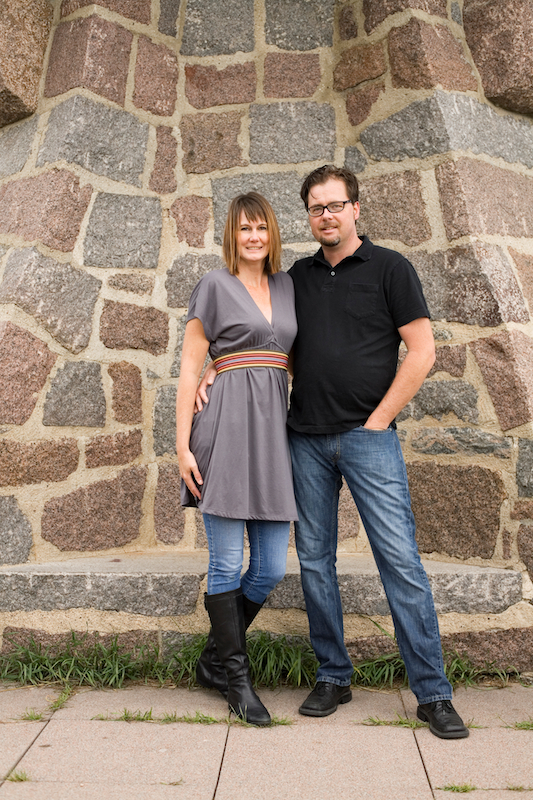 Andrew is the Gallery Manager and Art Instructor at Ridgewater College. In addition, he is an adjunct instructor at St. Cloud State University, where he teaches digital art, drawing, and painting. Lisa holds a BFA in printmaking from the University of Arizona and an MFA in Spatial Arts from San Jose State University. 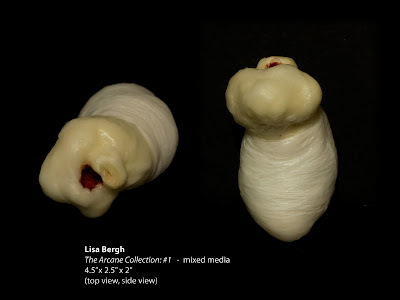 Lisa’s work moves from 2-d works on paper, to small sculptures and installations, which are all informed by the ideas of memory, place, and the body; beauty and the grotesque, and an ongoing curiosity in collections and display. 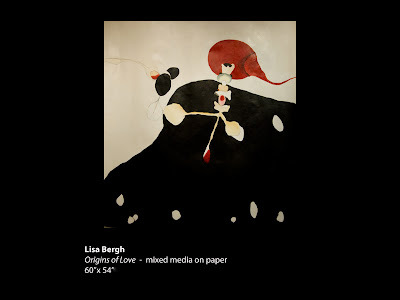 In addition to her own studio practice Lisa is an adjunct instructor at St. Cloud State University, where she teaches drawing. In the summer of 2007 Andrew and Lisa created ARThouse- a phantom, residential exhibition event space located in their New London home. Through exhibitions and site -specific projects, ARThouse works to nurture and support the creative endeavors of artists and deepen public understanding of contemporary art. Most recently, Andrew and Lisa have formed Rural Aesthetic Initiative, a project that folds together their individual studio practices, collaborative projects, curatorial work and community arts programming interests. We tend to have lots of irons in the fire. Currently, we are finishing a cycle of works investigating video and installation. 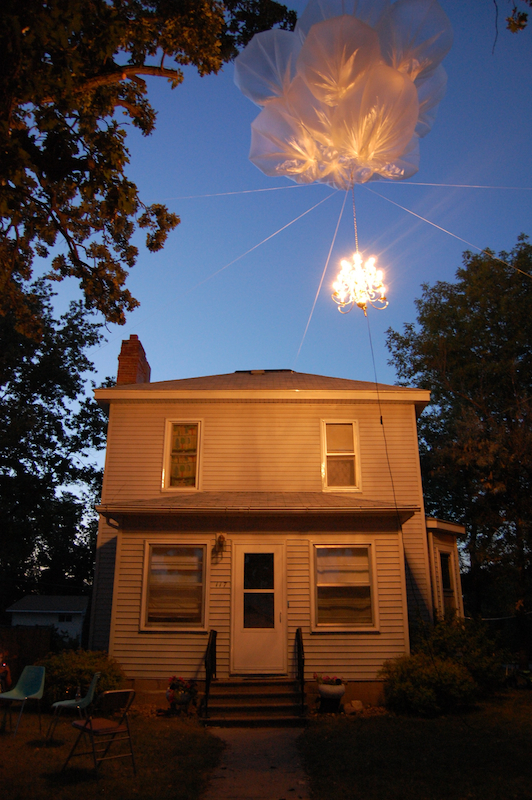 The project Inheritance of Location was a public art project supported by the Southwest Minnesota Arts and Humanities Council,- with Legacy funds. The product of our research was a ‘kiosk’ of sorts, a sculpture made of local ash planks that resembles a house or outbuilding structure. 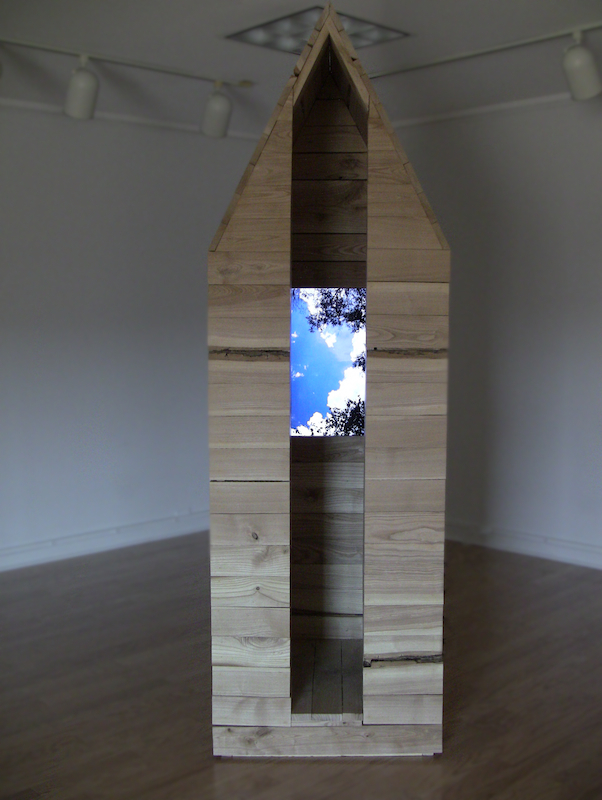 Inside is a HD screen with video textures and sound, mostly of landscape phenomena culled from being in our “neck of the woods”. We have been showing the piece in a variety of places from traditional white cubes to libraries. It even spent a week at the grocery store in Ortonville, Minnesota. Our individual studio work contrasts comparatively, visually and conceptually, between Andrew’s material based large-scale abstract paintings and my large scale drawings and intimate sculptures. Working collaboratively on the video landscape projects is impacting each of our individual studio practices. Andrew has been making medium scale landscape paintings. I am working on a new series of pencil drawings titled “Vertigo” which are playful explorations of mapping, pattern, landscape and abstraction. It has been enjoyable and refreshing to add the collaborative work to our individual projects. We have been working side by side as artists and domestic partners for nearly 15 years. The creation of RAI has for the first time really allowed our ideas and aesthetics to inform one another. As a kid, I always drew and had been imaginative, and thought of being a cartoonist by the 4th grade. From there, fort making, whittling, stop-animation films and looms were influences that I guess I’ve carried on to current studio practice. (*Yes, I may have been the only 6th grader with my own looms, and I made them for friends too.) My grandmother always bought me art supplies and gave me things like Bob Ross books. She loved to paint genre scenes from rural Minnesota. I bet she would think I finally got it straight working on landscape paintings rather than abstraction! While working on an anthropology degree at a community college in Tucson, Arizona and I was required to take a basic design course. Next thing you know, I have a BFA from the University of Arizona in printmaking & photography and an MFA in spatial arts from San Jose State University. Andrew - Stay productive and feel comfortable failing. Lisa - Find a community of peers and if you can’t find a community, make one. The ARThouse project was created with this notion in mind. Beyond the occasional private sale or purchase award neither of us try to sell a lot of work. We have both participated in the Minnesota State Art’s Board Percent for Art Program. I’ve made a lot of large work that is hard to market, but the intention is usually just making and exhibiting, relating to a space. Recently, I’ve been commissioned to do work, (which is why I started doing landscape paintings) ….and would like to pursue that more. Selling work is great and I am always happy to make a sale. However, selling my work has never really made the top of my priority list. 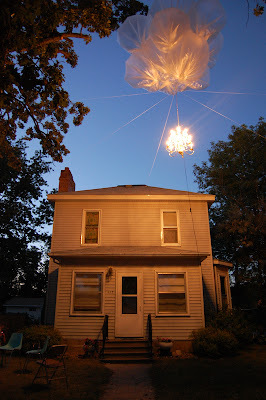 Currently, I am more interested in finding unique venues and projects that offer an opportunity for me to play around with ideas and create more ephemeral works. Jonathon Gomez Whitney’s furniture design work is perfection and the quiet nature, internal dialog, and poetic pacing of his art projects are always a home run with me. Lately, I can’t get those Samantha French pool images out of my head. My aesthetic interests are pretty varied. The collection of artists’ projects presented via ARThouse does a great job of circling around all the different aspects of art and public art I adore. I’m interested in artists who seem to have an interesting dialogue going with ‘the problematic of painting’….and the presentation of abstraction/representation. 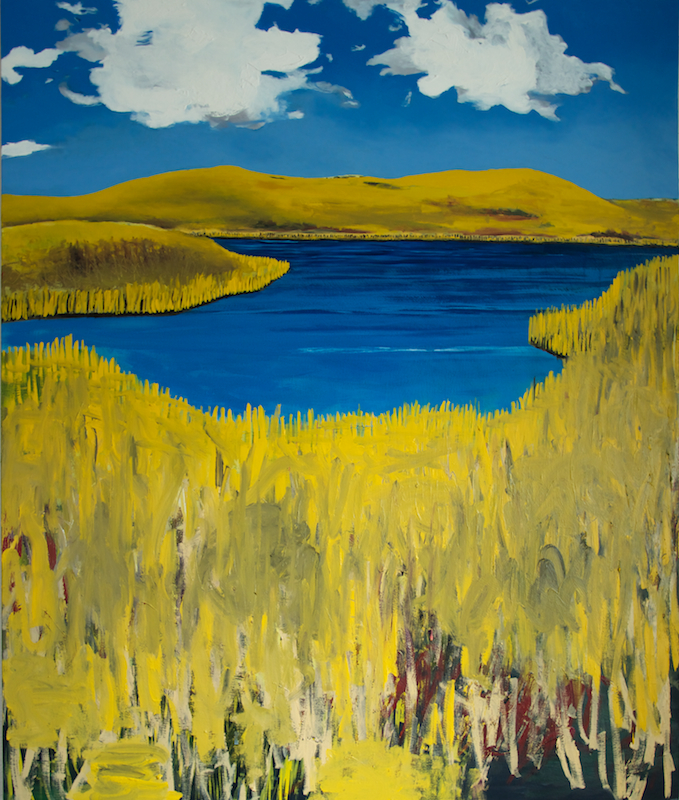 Andrew – The campuses at Ridgewater, where I teach, have some great percent for art purchases. 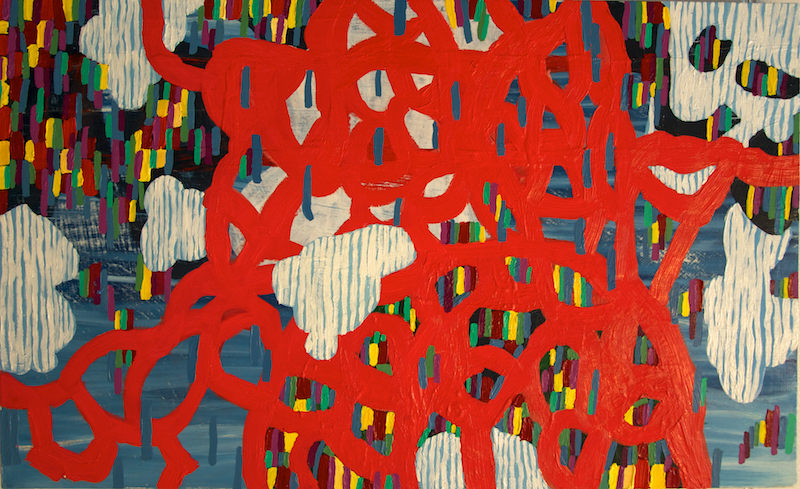 A huge Brian Frink abstraction, a Michon Weeks painting, are some of the standouts. If you took a drive around our perimeter of geographical activity, you’d see some of the great “Colossus of Roads”. Minnesota landmarks like Darwins’s ball of twine, Olivia’s corn cob, Belgrade’s crow, and Alexandria’s Viking. Lisa – I am sucker for a great yard. I am fortunate to live in an area where folks often have a lot of outdoor space. Seeing how people interpret, groom and build these public/private spaces is always a treat for me. We always try to make it to the Walker Art Center and Minneapolis Institute of Art, (especially the MAEP gallery) when we are in town. August 9th we will be involved with the Walker Art Center’s Open Field “Drawing Club”…come on by. 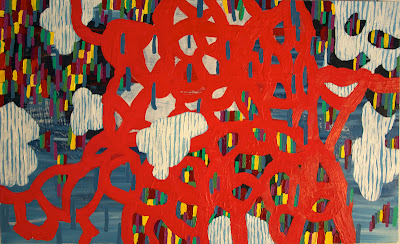 RAI has a show opening at Tuck Under on August 2, 2012. We are really excited to exhibit in a space similar in spirit to ARThouse. After that, we have projects in the works for a show at Riverland Community College, the gallery at SMAHC (Southwest Minnesota Arts and Humanities Council) and a show at University of Minnesota-Morris. That will take us through 2013.